The Salon 101 and Salon 102 courses are being combined into one course starting Fall 2018. The new course has yet to receive an official name but is being called “First Year Experience” in the meantime. The new course is a combination and slight modification of the Salon 101 and 102 courses. The course still has the same goal as the previous Salon courses of introducing students to Baker and preparing them for their college career. The new course will be worth two credit hours and will meet twice a week. “I was surprised when I took over my role as [Quest Program Chair] that they were spreading out the Salon classes,” Quest Program Chair Tony Brown said. Bailey, who is also the administrator of the Salon portion of the Quest program, said the design of the new course is a joint effort between herself, Brown and the Educational Programs and Curriculum group. “We met several times to make sure we were still meeting the needs of the students and how we could do so efficiently,” Bailey said. The new course will slightly affect honors students. 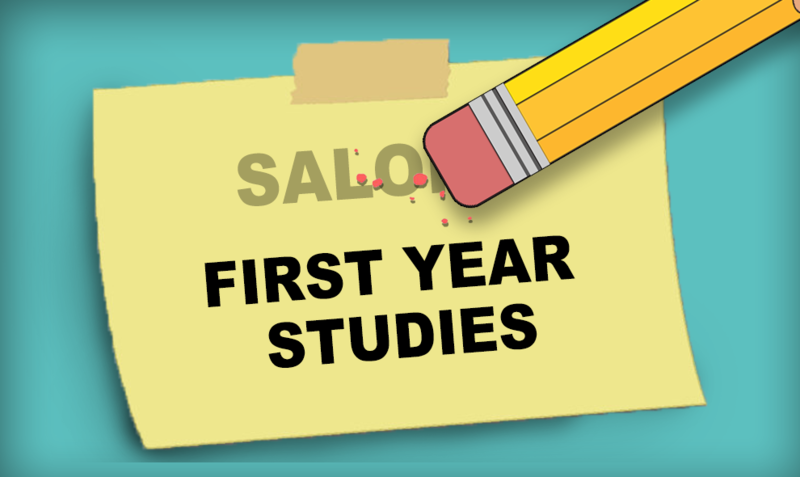 In the past, incoming honors students would take Honors Salon 101 instead of Salon 101 during their first semester. Now the new course code, which is tentatively being called FY 100, will have honors sections with the same prefix. The workload of instructors who teach the course will also be affected. In the past, Salon 101 and 102 accounted for three credits over the course of the academic year for instructors. This breaks down to one credit for teaching Salon 101, one credit for advising and one credit for teaching Salon 102. Now, the First Year Experience course will count as three credits of a teaching load per semester. While the course is new to Baker’s catalog, Brown said it’s “really a pretty simple change, not too drastic.” It is essentially a combination of the Salon 101 and Salon 102 curriculum, thus allowing students to complete their first-year salon requirements in one semester.